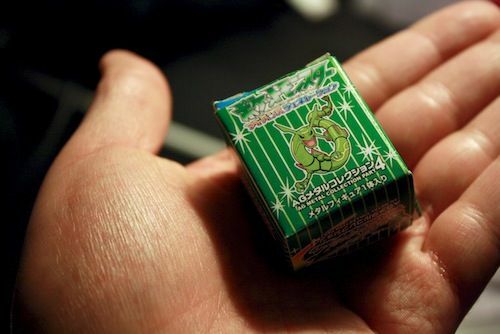 is this gashapon in the original packaging? "The way it was shipped is essentially the original packaging. It is a Japanese Gashapon so it comes in a plastic capsule but we order them without the capsules to save on shipping costs. They are displayed with the figure set on top of the base." I know I'm not the brightest person in the world, but that seems to be a very vague answer to me. I don't know what they mean by a plastic capsule, and I honestly don't know what the packaging is supposed to look like. I really don't feel like annoying the seller again, so would any of you mind telling me if this is in the original packaging or not? The reason I want to know is I would like to open it if it is not in the original packaging. The packing seems very homemade. The plastic that's wrapping the Umbreon even has scotch tape on it... If anyone could help me out that would be awesome! Thank you!! just a reminder for the HQ eevee GA, it ends in 1 day! we are doing quite well so far but some items have no bids or are very low, so get those bids in and im sure we can win this! Hey hey, Pokémon Collectors! Let's get our warm holiday spirits going with a brand new friending meme! Name: Age: Gender: Location: Favorite Pokémon: Favorite part of collecting: Other fandoms, interests: What you want in an LJ friend: What your journal consists of: Anything else? Then look around and read other members' comments on this post. You might find someone who collects the same Pokémon as you, or someone with interests just like yours, or maybe even a new best friend! Don't forget to reply to anyone who's left you a comment! Let's have a blast and make tons of new pals! Collection Update, Grail Gets, Mewtwo Mewtwo Mewtwo! It's been a really long time since I've posted in the comm, and I come bringing a Mewtwo collection update! Over the last few months I've been able to add some incredible graily and awesome Mewtwo items to my collection! I'm currently prepping to create a collection update where I can showcase my collection individually, but in the meantime you guys get some quick pics using my phone and my light tent! 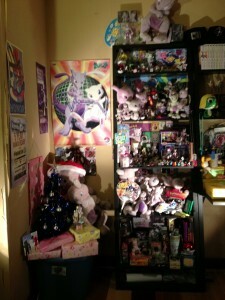 As your teaser picture, here is my Mewtwo collection as it exists in my apartment! Hi everyone just a reminder that my auctions are ending today at 11:30 MT . (Will be extending the auction for another 30 mins just in case I get out of work late. ) 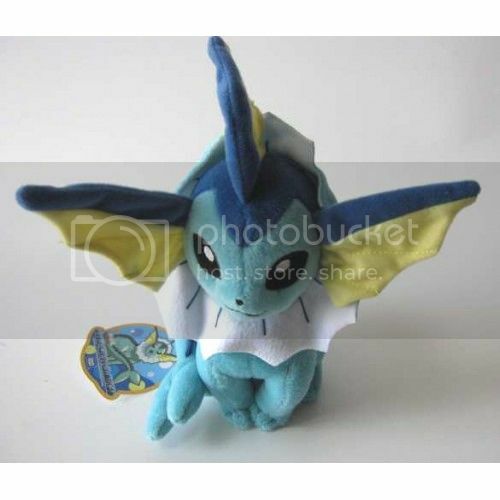 Some items like the DX Empoleon and Infernape Banpresto plushies still have no bids. 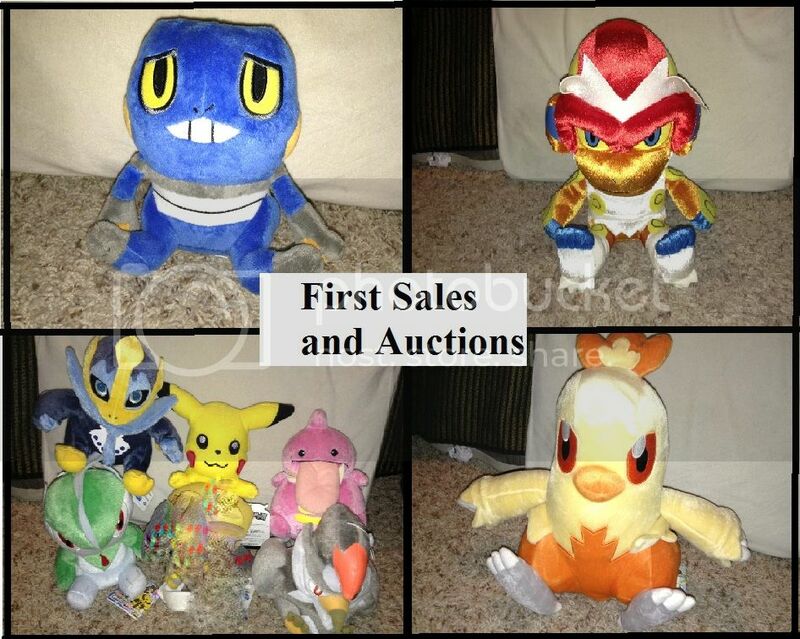 Other items like the Croagunk Pokedoll, and DX Banpresto Combusken plush are still at their starting bids. Ga session - Plushies: Reminder and Guess what! Hello! Hands up, this audition is almost over! So as you can see, there's only four not claimed plushies. Yeah, these in color in the photo. Click in the picture to get into the previous post to see the current settled bids! Alright, let me express the rules for this last session! - As mentioned before, I'm the host of this GA while entirelycliched is on charge for the shipping and bidding. Her feedback page is here while mine is this one. 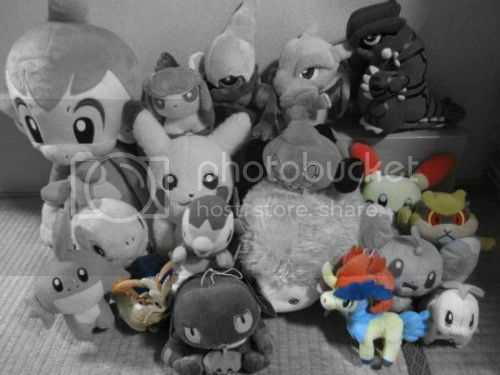 - The unclaimed plushies (the ones on color) have no bids so they start at $5. - Many of the claimed items's bids are low so that's your chance! - Shipping is from a U.S. APO address. - Bidding ends at 18:00 Japan time, and a countdown is here. As you can see, there's like 1 day left for the end for the bids! - This GA officially ends in 20th December. - This reminder and the original posts will be uploaded with the results as soon we learn about them. Everyone, we won!! Congratulations to all the bidders! You can expect payment requests soon! I haven't posted in a long time oops, but I have a collection update to share! Toys R us TOMY gets!! Since people seem to have enjoyed my booster opening streams in the past, I'm going to do one now. My livestream is located here - http://www.livestream.com/maitaidelight It's currently running, but I'll wait about 10 minutes before opening things. See you at the stream! Edit! Stream is now over. In the two booster packs I got from Pokevault, I somehow got Leafeon and Glaceon Lvl X. O: And the highlights, at least for me, from the Portuguese packs were a Base Set Ninetales and a (non-holo) Jungle Jolteon. From German packs, (non-holo) Jungle Flareon (x2), (non-holo) Jungle Jolteon, and Base Set Arcanine. No Charizard, Blastoise, Venusaur, or Vaporeon. O: Oh well! XD! Thanks to everyone who stopped by to watch. I waited on pins and needles for this custom to arrive. I am soooooo proud of it! lady_avii did a great job! Thank you so much <3 <3 She is very talented and sweet :D I feel bad for rushing her, but I am so happy my smug eevee arrived. *I DON'T promote/participate in smoking of any kind, it's just hilarious when a pokemanz does it* She had great detail in her piece as well. The pics do not do it justice sadly. Feel free to stare for however long you would like. Her work deserves it! I was so scared opening the box and unwrapping eevee. She packed it so well and I was so excited I thought I was gonna break it. The wrap got stuck around the cigar and I panicked for a second haha. I also got some dangly charms and a felt custom. Even a keychain custom! Come me with on a picture heavy journey! Ready for more smug eevee? Of course you are!!! 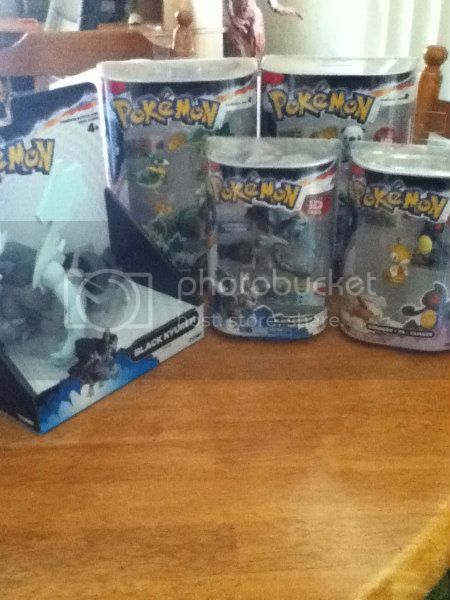 I'm selling a TON of Jakks stuff-- figures, throw plush, pokeballs, and giant electronic talking figures. Many of the normal figures are $1 or less. I am also trying to sell my TOMY recall Charizard and Blastoise again. My friends, It is good to see you again; I hope that you are all well in collecting and your lives. I come to you with a super quick uber fast want. Gin has recently sold out of them on sunnyshore pokemart, so I would like to appeal to you all. 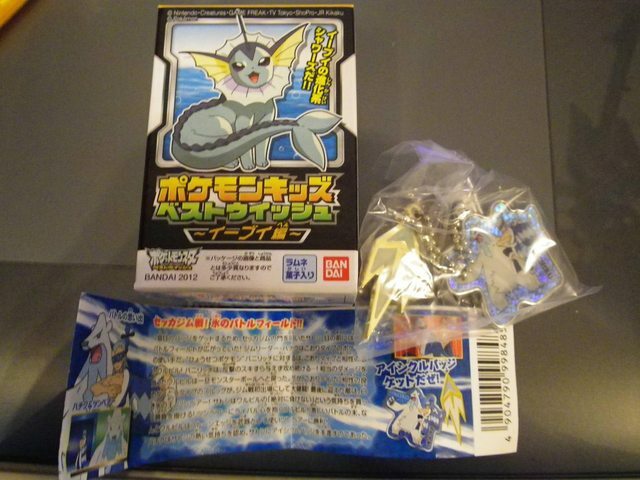 I would prefer not to pay an arm and a leg, even though Vaporeon is highly popular. If you have one MWT that you would like to sell, please let me know ASAP. 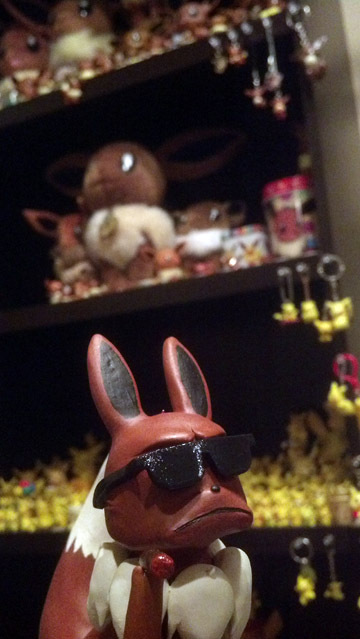 Vacation is coming up soon, and I am planning a Mid EEVEEPOCALYPSE update soon. That is all, thank you for your consideration! 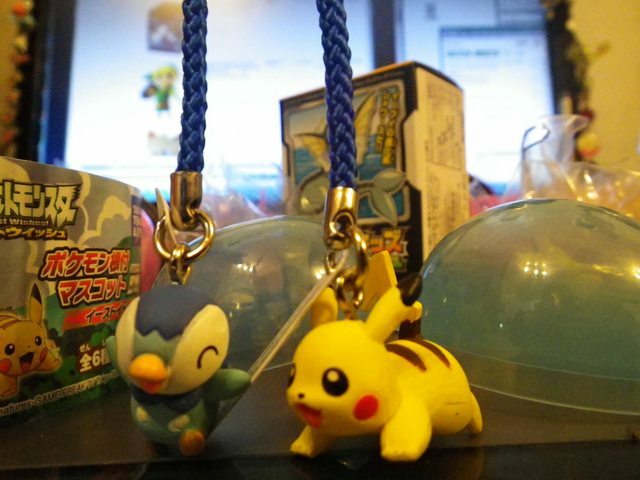 So at the end I have two Pikachu and Piplup stamps for sales! They'll be $1.5 each (or $3 shipped) if you'd like one >u> Comes with the paper insert! Clearer official pics here. By the way, all orders/auctioned items from me had been shipped on/before last Tuesday! 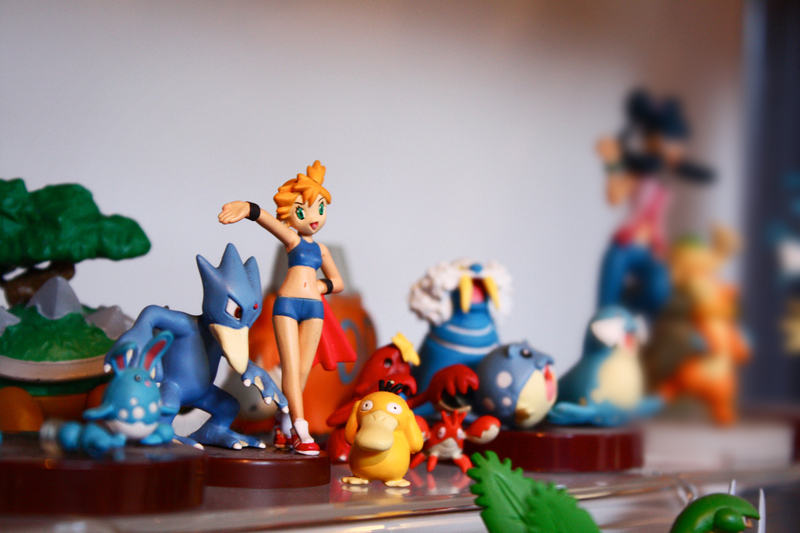 Hello pkmncollectors! Today I bring you a small, humble group of metal figures for auction as well as some for straight sale! They are all first gen metal figures with a nice diverse amount of colors. Feel free to take a look! Sales Permission granted by denkimouse on 20 Dec 2010. The pins will be ordered from +Poke Box+ Etsy website. I have already checked and confirmed with GA/GB mod entirelycliched that this is okay. Heatmor and Army of MPC GA - Shipping info? Were the Heatmor and Army of MPC GA plush shipped? I never saw anything clearly stating they were (although I could have missed it). I was just curious, since shipping was paid for a few weeks ago, and I just wanted to know if anyone has received theirs? Sorry for clogging the page with this, and thanks for answering my questions!